Application servers have gotten leaner and meaner in 2009. Companies founded just within the last ten years have brought plenty of innovation to the application platform market. 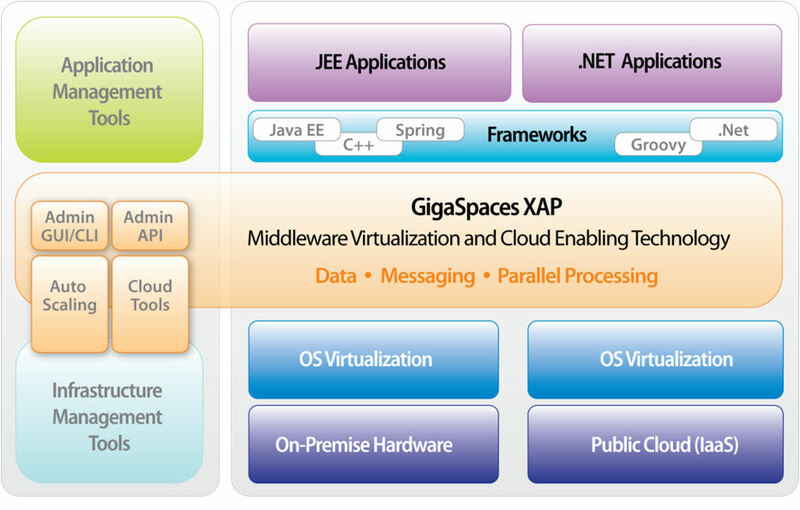 GigaSpaces has played a major part in that innovation with their eXtreme Application Platform (XAP). GigaSpaces has already laid out its game plan for building on that innovation in 2010 with a new focus on SaaS enablement for ISV/OEM partners and enterprise middleware as a service. Nati Shalom, CTO and founder of GigaSpaces, said in a year-end report, "2009 was not a simple year for anyone in our business. Luckily we were able to turn the crisis into an opportunity to build a stronger, leaner company, and focus on the innovations that really make a difference for our customers." Shalom says GigaSpaces will focus on two initiatives, which he believes should be very exciting for the industry. Their first goal is to enable the use of data grid, messaging, or Map/Reduce services through a single API, without requiring users to install, configure, or setup their systems. "GigaSpaces' middleware, with its enterprise-grade transaction support, administration tools and security, will be just as simple to consume as services like Amazon SimpleDB," said Shalom. An application will be able to access GigaSpaces' middleware services on-demand from systems that are on-premises, in a traditional or virtualized data center, or in the cloud. Another goal for GigaSpaces' middleware is to reduce lock-in. In 2010 they will add support for standards such as JPA, which is next on their list, and the Memcached API. A REST interface is also on its way to better address web-based and cloud-based applications. Shalom said, "All this won't affect existing users of XAP - it will just give them one more way to access XAP middleware from within their applications." For the second 2010 initiative, Shalom says GigaSpaces wants to follow their success with SaaS-enablement projects for ISVs and other OEM partners. "We will invest in a dedicated SaaS-enabled offering for this market. Our new offering will enable ISVs to use existing code written for a single-tenant environment, and run it on a fully multi-tenant environment, whether in a virtualized data center, in a full-blown private cloud, or on the public cloud," said Shalom. "We will offer on-demand services with a highly competitive pay-per-use pricing model, designed to appeal to OEM projects." The challenge for GigaSpaces is to surpass what it did in 2009. The company added new integrations with GoGrid and VMware's vSphere. They also released XAP 7.0, which focuses on cloud-enabled transaction processing. Shalom says they are currently working on integration with the hardware behind new computing environments, such as Cisco's Unified Computing System. He says, "XAP is currently the only product that allows existing applications to run on a private or public cloud, in virtualized environments, or in a traditional data center – with no code changes. This allows our customers to choose a mix of public cloud, private cloud, and traditional data center infrastructure, without getting locked into a particular environment." You can review GigaSpaces' benchmarks here.